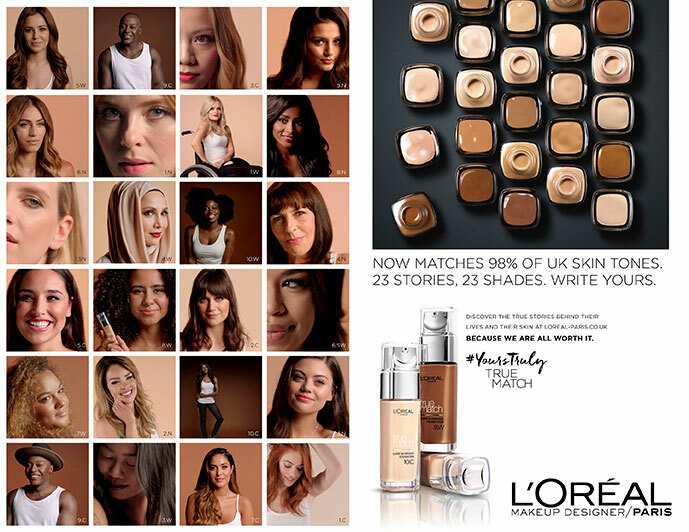 The UK is diverse, foundation shades aren’t. Quite rightly beauty bloggers were getting angry about it. influencers, including the first man in a cosmetics campaign, to represent our 23 foundation shades and create a social media-centric campaign that would take the beauty world by storm. Changing the face of beauty, one influencer at a time and taking L’Oréal True Match from No.3 to No.1 with a 39% uplift.